Et de 9 pour Jeffery Deaver et son personnage récurent, Lincoln Rhymes. 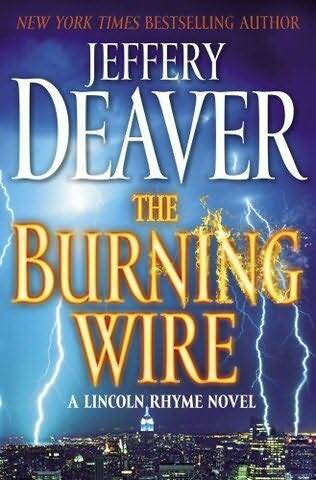 The Burning Wire fera suite à The Broken Window (ce huitième titre sera quand à lui publié en fin d'année en France, par les éditions les deux terres, La Vitre brisée). Meanwhile, Rhyme is consulting on another high-profile investigation in Mexico with a most coveted quarry in his crosshairs: the hired killer known as the Watchmaker, one of the few criminals to have eluded Rhyme's net. Juggling two massive investigations against a cruel ticking clock takes a toll on Rhyme's health. Soon Rhyme is fighting on yet another front - and his determination to work despite his physical limitations threatens to drive away his closest allies when he needs them most . . .